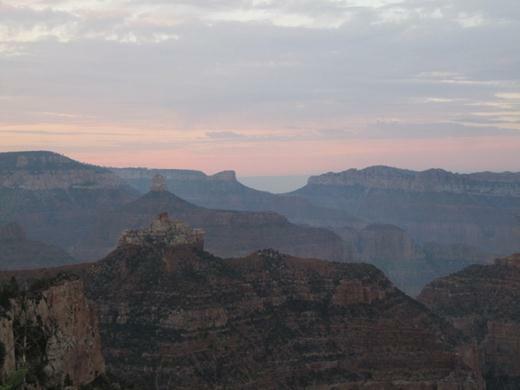 We reached the Grand Canyon North Rim Campground at about 9:00 pm. Our camp site cost $18 per night. Other than flushing toilets there were no amenities. 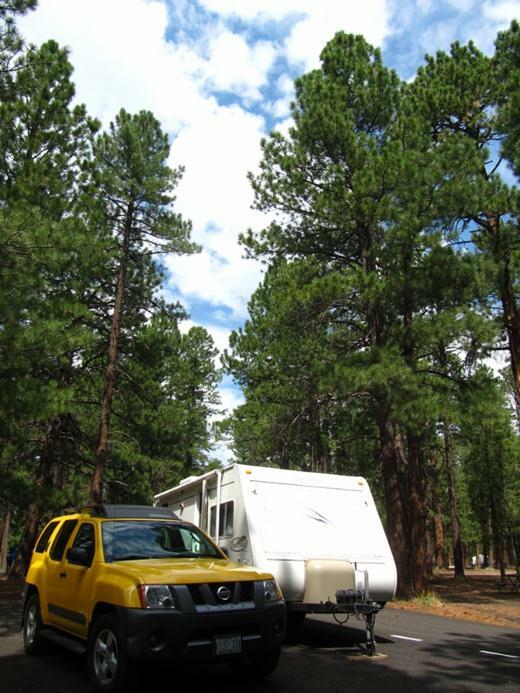 It’s moments like this that we really appreciate our little Wendy (our travel trailer) – she comes with a shower! First stop, visitor center! We were immediately surprised to see so few people. 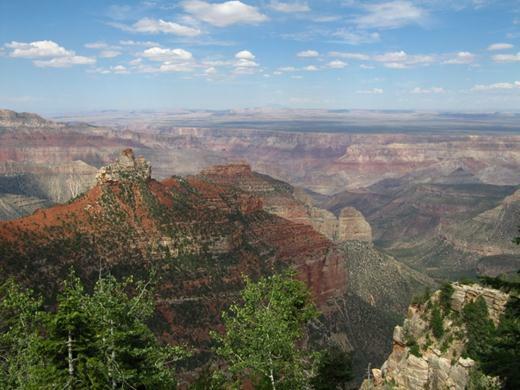 North Rim receives about 10% of the visitors that the South Rim does. 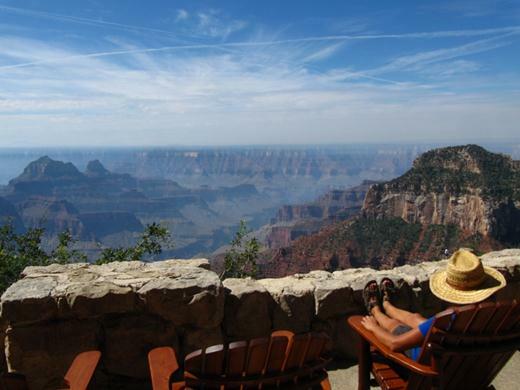 It’s possible to find solitude on this side of the canyon…even in the busy summer months. Next stop, North Rim Lodge where the back porch has tons of Muskoka chairs…and so few people that you can actually just walk up and grab a seat when you want it. 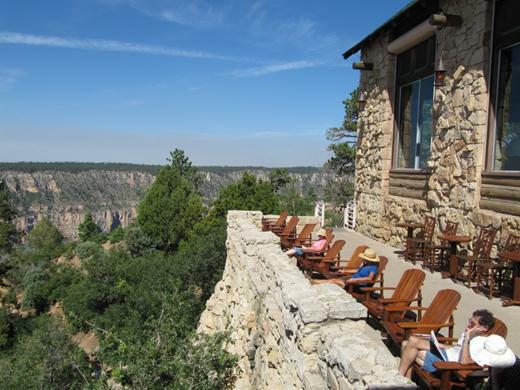 The porch hangs right at the edge of the canyon…and they even have bar service! Heaven!! Here’s the lodge from another angle. 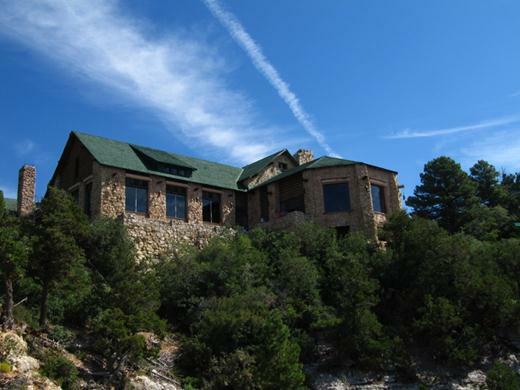 All those windows provide great viewpoints over the canyon. 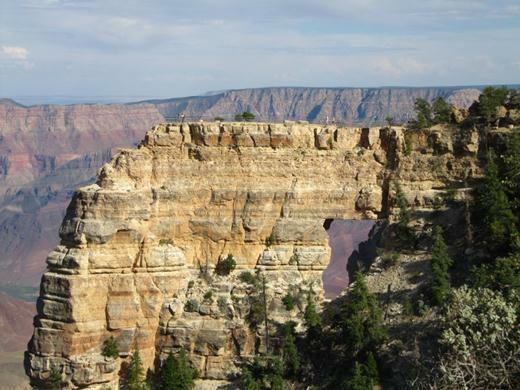 The North Rim is a good 1,000 feet higher (and more in some areas) than the South Rim. 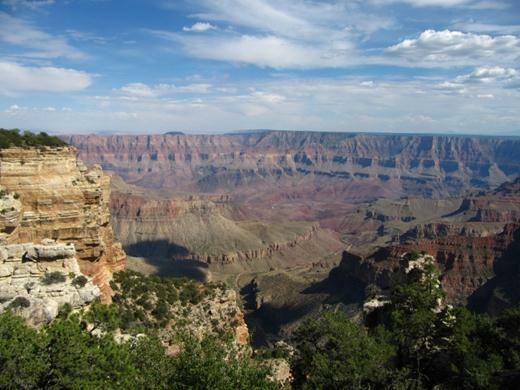 The Bright Angel Overlook trail provides an excellent panoramic view. On the way down at sunset we caught a glimpse of this tree, beautifully reflecting the sun. 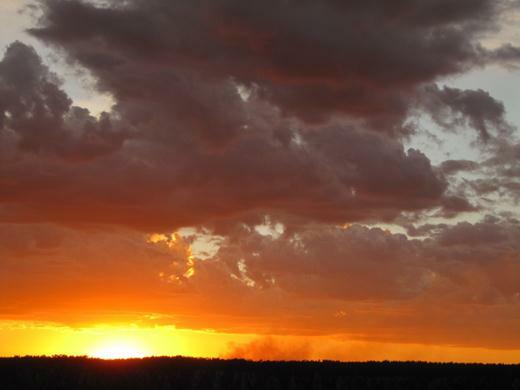 We drove out to Point Imperial for more amazing views – that flat part in the distance is the Kaibab Plateau. 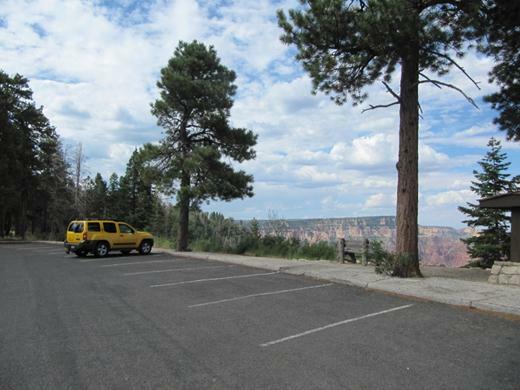 Later we drove down Cape Royal Road and stopped at the Walhalla Overlook…and we’re the only ones in the area – solitude!! 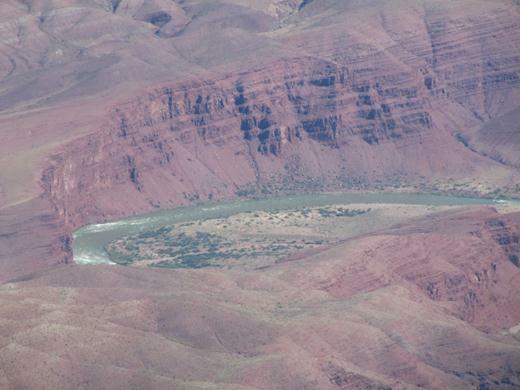 About 350 years ago Pueblo people lived in the area with summers spent on the rim and winters below, at the Unkar Creek’s Delta. 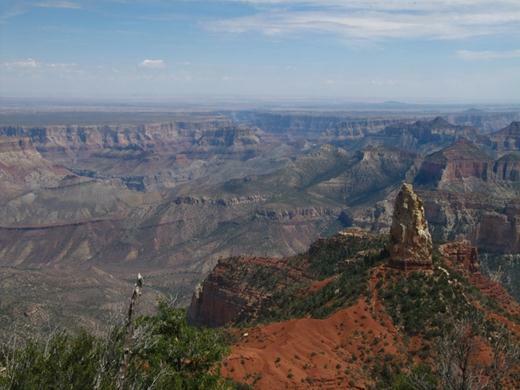 To give you a sense of how big the canyon is – look towards the middle of the picture to see the Delta. This one is called Angel’s Window. Through that window on a clear day it’s possible to see the Colorado River. 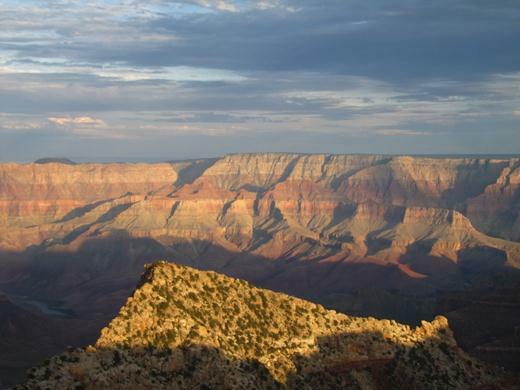 Ever wonder how wide the Grand Canyon is? It varies but this picture gives a good example. 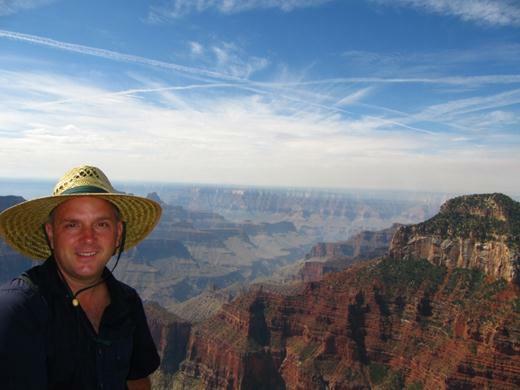 The rim at the top of the picture is the South Rim of the Grand Canyon. 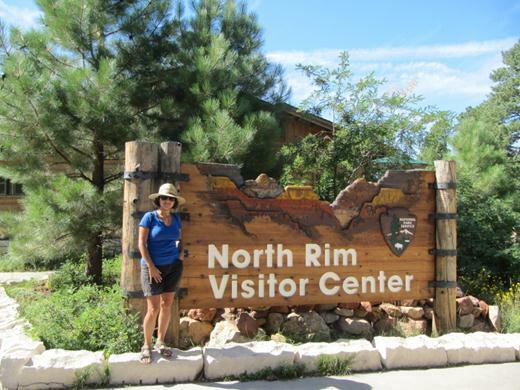 At the rim, just a little to the left of the middle is the Desert View stop on the South Rim. 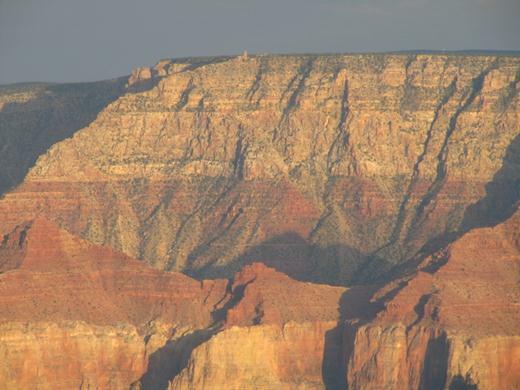 Here is it close up – you can just make out something sticking up along the rim. That’s the Desert View. 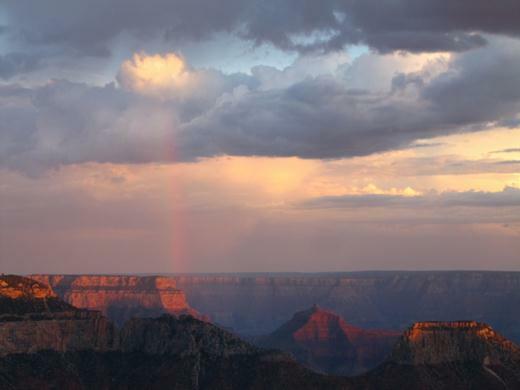 From the North Rim where we took this picture it’s 13.7 km (8.5 miles) as the crow flies. Unbelievable! 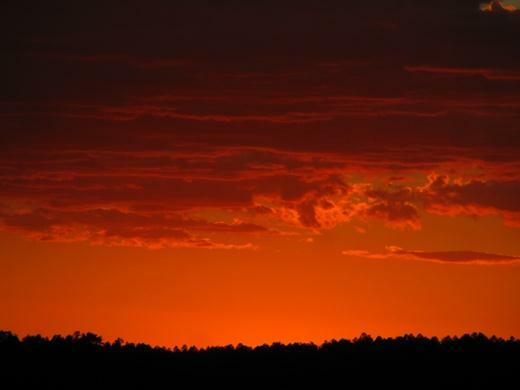 Just another amazing sunset view we had to share! As we left the Grand Canyon we caught a glimpse of a herd of Buffalo (also known as Bison). 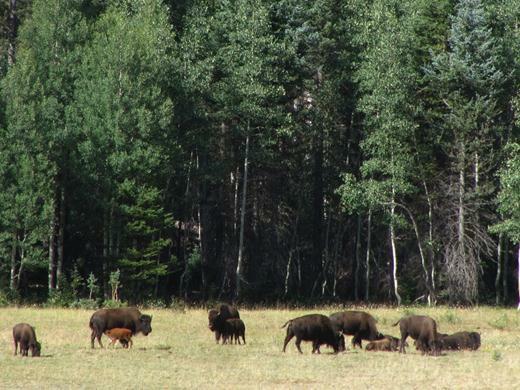 There’s even a baby Buffalo having a snack – look closely and you’ll see it. These Buffalo are not native to the area. They’re here because long ago a cattle farmer tried crossing cattle and Buffalo hoping to create Cattalo. The experiment failed but the Buffalo stayed. 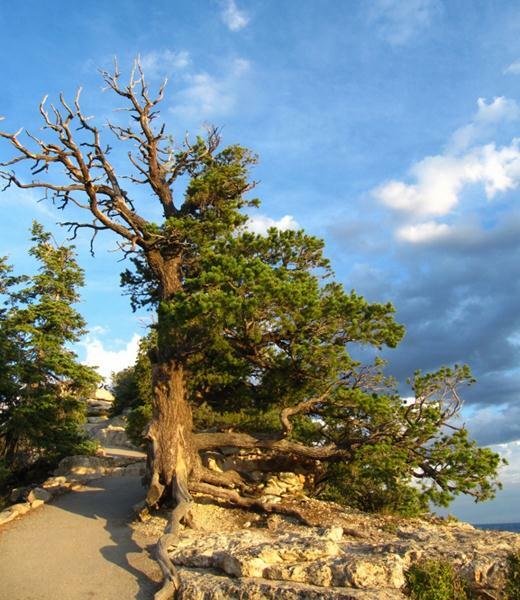 With that, we’re off to the Grand Tetons National Park in Wyoming! Next up, on the way to the Grand Tetons. I’m good…sorry to hear you’re on your way home. Do all good things have to come to an end? Any news from your family? How’s your Mom & Julie? I loved the tree photo reflecting the sunset..beautiful! Hello hello!! It was such a pleasure meeting both of you on the West Thumb walk a couple days ago. 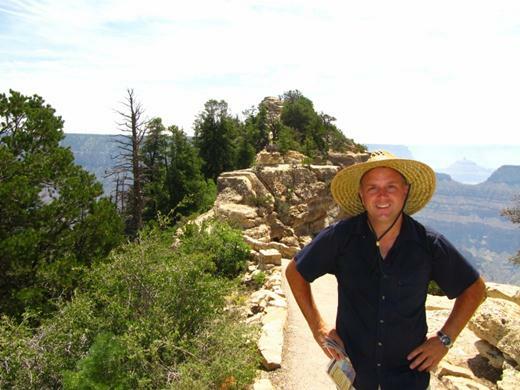 It’s meeting people like you that makes the job of a park ranger so enriched!! You have a beautiful blog and I can’t wait to read about all of your adventures of past, present and future. Thanks for the laughs and good conversation! !